Maruti Swift Review – Price List, Mileage, Images, Specifications, Colours, Swift 2018 Launch Date & More! Check out Maruti Swift 2017 review, Swift 2018 launch date and details. 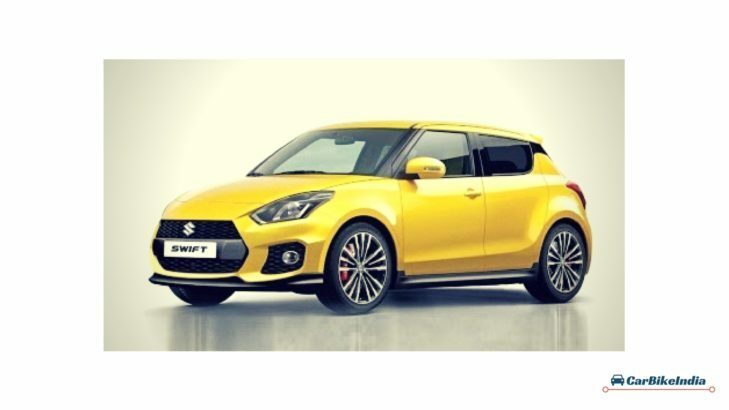 Know Maruti Suzuki Swift price list, mileage, specifications, exterior, interior, features and more. Maruti Swift came into the light way back in the year 2005 that let Suzuki’s image in the global market transformed drastically. The vehicle’s two-box design, sharp styling and wide stance struck a chord with the customers. The second generation Swift came in 2010 without deviating from its original style becoming a runaway success. Now the Indo-Japanese carmaker is now coming up with the third- generation model and this is expected to go on sale internationally early next year, while the India launch will be at 2018 Auto Expo in February. The new Maruti Swift features blackened pillars, distinct two-box silhouette and wide haunches. This time around, the Swift gets longer wheelbase and larger 16- inch wheels that make it look bigger but retains that cheeky character which is centre of its charm. Swift currently competes with Volkswagen Polo, Fiat Punto, Hyundai Grand i10 and Ford Figo. So till we get our hands on the Maruti Swift 2018, let’s see what the present Swift is offering that is making the automaker delay the launch of the updated model. Talking about the price, Swift has been tagged very competitively. The price range for the base model starts at Rs. 5.99 lakh and goes up to Rs. 6.13 lakh. This is one of the reasons why this is a value for money car for the Indians folks. 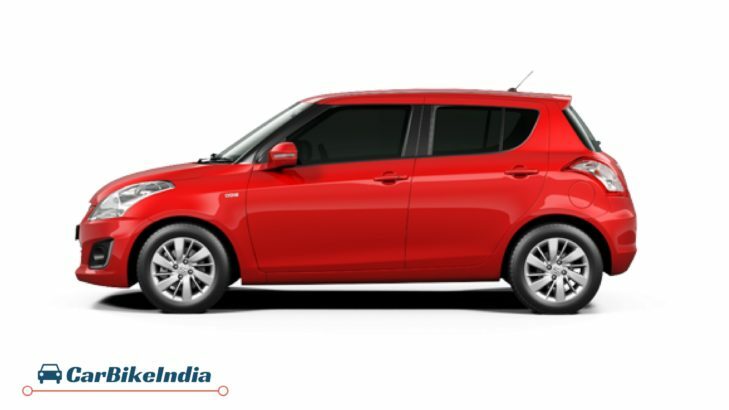 Maruti Swift on the outside is mature and aerodynamic with the front facia carrying a long bonnet with a toothy grille that looks quite stylish. The swept back headlamps are bigger in size while the body coloured OVRMs along with the in-build turn indicators goes well with looks. Swift rides on the sporty 165/80 R14 tyre with the top Z plus variant getting 185/65 R15 ten spoke alloy wheels. At the rear, tail lamps are sharp and wide with the clear view lens that extends into the C-pillars. The large bumper takes up most of the space at the rear while atop the sharply raked windscreen, sits the lip spoiler that enhances the cheekiness. The 2018 Swift will come with a lot of changes including the aggressively protruding hexagonal grille with trapezoidal headlamps and LED DRLs. Maruti Swift in the present form measures 3850 mm in length, 1695 mm in width and 1530mm in height. Where the wheelbase of the car measures 2430 mm, the height from the surface is 170 mm. The car comes with the boot space of 204L and kerb weight of 1060 kg. Inside the cabin is where you notice much of improvement. Swift with the wheelbase of 2430 mm is quite a spacious car, while the front seats offer more legroom as compared to its rear seats. Dashboard is bestowed with single colour tone with temperature dials positioned below audio system. Dial arrangement looks classy with silver accent. Seats in the car are covered with fabric upholstery that goes well with the ambiance. But here, the disadvantage of severely limited seating space and below average headroom will surely disappoint many. The upcoming 2018 Swift will get black interiors with white and matte chrome elements and many more enhancements that would surely place it on top of its game. Maruti Swift is available with both the engine options, diesel as well petrol. It is powered by the 1.2 litre K-Series VVT petrol mill that is capable of generating output of 84.11bhp and peak torque of 115Nm. The diesel oil burner is the 1.3 litre CRDi engine that can generate power of 74bhp and maximum torque at 190Nm. 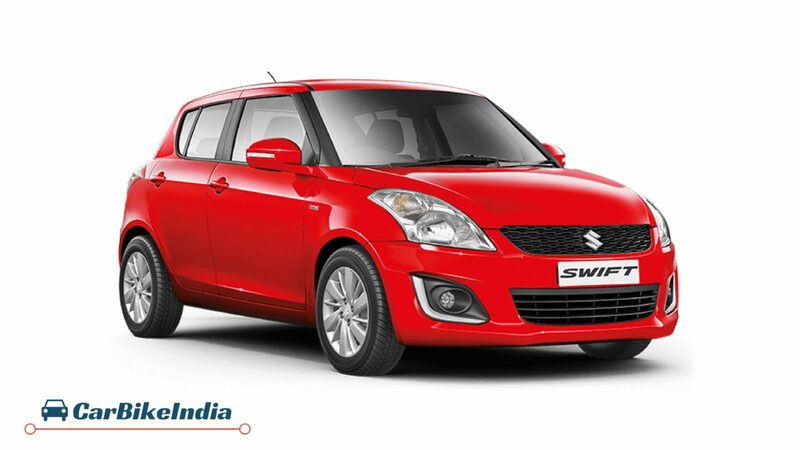 Swift still remains a trendy car featuring electrically adjustable outside rear view mirrors. Alloy wheels of the car have upmarket design. In terms of looks, Maruti has played quite safe till date. Inside too, the car remains chic. You will get steering mounted audio controls, Bluetooth, auxiliary input and USB socket, 4 speakers and intelligent speed based auto volume. The car also features 60:40 rear seat splits, new seat fabrics, push button start and rear parking sensors. The 2018 Swift is also expected to carry the same traits with more advanced features such as SmartPlay infotainment unit, voice recognition, automatic climate control and reverse parking camera. Maruti Swift comes jam packed with various safety features which are standard across the line-up that includes rear seat belts, 3-point ELR front seat belts, side door impact beams, dual horn, front head restrain and rear door child locks. Other prominent safety aspects include reverse parking camera, anti-lock braking system with electronic brakeforce distribution, and airbags for driver and passenger at front. Maruti Swift is currently available in 5 different colours, they are Silky Silver, Fire Red, Glistering Grey, Pearl Arctic White and Granite Grey. Swift has remarkably matured in terms of efficiency and performance and with low maintenance cost and higher resale price, undoubtedly makes it value for money car. Both the engines are quite peppy and responsive which enhances the driving experience. The car is very stylish, easy to drive and available in very affordable price range. Looks identical to its out-going model. Small rear seat space, though worked upon but still not spacious. Long waiting period for delivery goes up to six months.